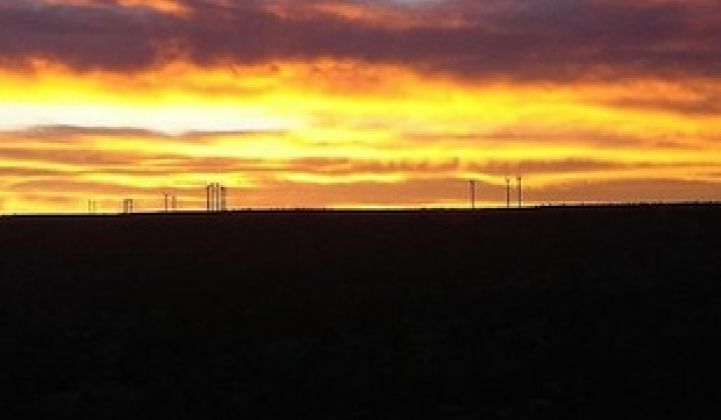 New Mexico is ready to welcome a massive project that would catapult it into a leadership position in wind energy in the United States -- all it needs is a company to seize the opportunity. The state envisions this project eventually totaling 1,000 megawatts of generating capacity -- more in one project than the state’s current 778 megawatts of wind. This would be enough energy to supply “up to 400,000” homes, the state said -- a big number in a state that's home to barely 2 million people. The environmental benefits? “The development would reduce CO2 emissions by 2.6 million tons and save over 1.1 billion gallons of water annually compared to coal-driven electricity.” According to the coal-industry group America’s Power, coal currently provides 71 percent of New Mexico’s electricity. But there’s something else New Mexico imagines getting from this project: money. We’ll find out whether the wind industry bites at this opportunity in September, when the lease auction is held. As always, that could depend on how confident developers are of getting a power purchase agreement lined up. New Mexico’s renewable portfolio standard is a pretty good one, at least for its investor-owned utilities, and that could help incentivize interest. 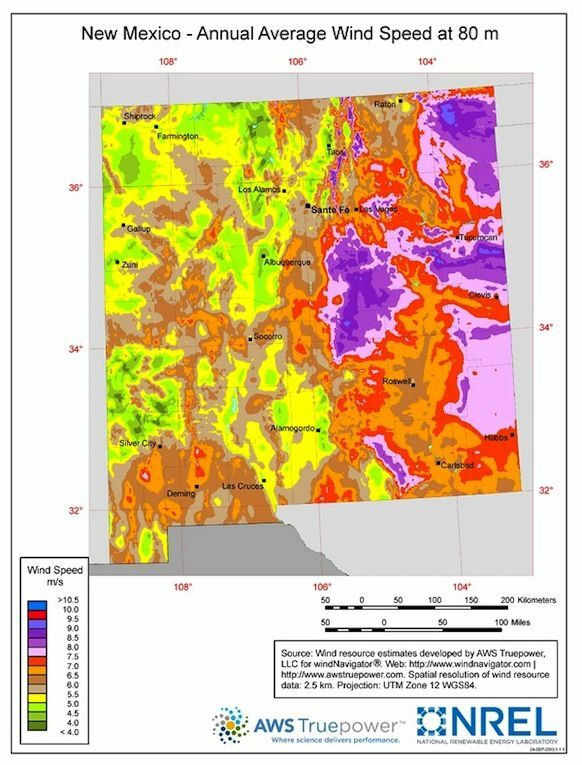 The Albuquerque-based utility company PNM just announced a plan to add more solar and wind, with the wind coming from the 102.4-megawatt Red Mesa Wind Energy center west of the city. These additions would put PNM at 15 percent renewables by 2015, so it will still need more to hit the required 20 percent by 2020.